The Carlyle is the DMV's favorite destination for weddings. 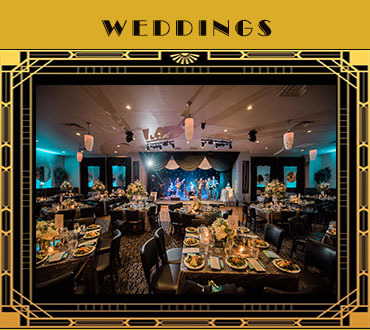 As the recipient of countless awards, including most recently the 2017 recipient of Wedding Wire's Couples' Choice Award, the Club's highly regarded reputation is consistently praised for venue ambiance, outstanding service, food quality, value pricing and convenient location. The Carlyle Club is the perfect location for companies and organizations to have a group event. 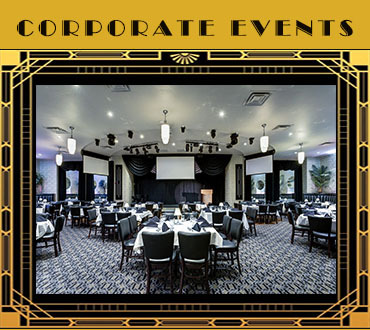 The Club hosts a wide range of events for companies and their staff, including retirement and corporate holiday parties. For groups from 20-200, weekday lunch and weeknight dinner options as well as weekend dates. The premier location for hosting your next event! The Carlyle Club stays JAM-packed with the most spectacular LIVE entertainment! 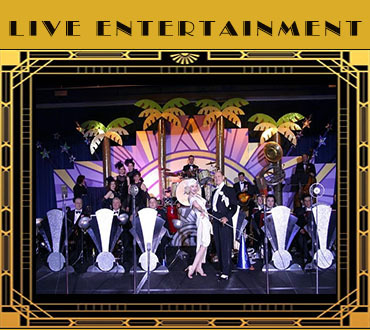 From our Jazz and Comedy Nights, to Doc Scantlin and His Imperial Palms Orchestra, and our popular musical Tribute Shows, the variety never stops! We offer the perfect combination of fine dining and entertainment. Make sure you get your tickets today! The BEST in Live Entertainment!